The Water-Energy-Food Security Nexus ties three mutually dependent securities together. With population increase, land-use and climate change having rapid and drastic impacts on water resources, the management and governance of these resources needs to be approached in a coherent and improved cross-sectoral way, across scales and with a sense of urgency. Water, energy and food security rely on water infrastructure. Recognition of the closely bound interaction between water, energy and food production and use has led to new demands for water infrastructure and technology solutions. The vision is coordinated planning, development, optimisation and operation of water infrastructure for benefits across sectors, including combinations of man-made and nature-based infrastructure. The Nexus Dialogue on Water Infrastructure Solutions provides a forum for sharing experiences, lessons, tools and guidelines on how portfolios of water infrastructure and technologies can address nexus challenges. It is designed to build a common understanding of innovative planning, management and operational approaches that provide shared benefits across sectors. Natural infrastructure, the networks of land and water that provide services to people, can help decision makers and infrastructure managers address interconnected challenges facing water, energy and food systems, often referred to as the “nexus”. Natural infrastructure can help maintain an adequate supply of clean water, which in turn supports energy and agricultural systems. Since 2012, the International Union for Conservation of Nature (IUCN) and the International Water Association (IWA) have collaborated on a joint initiative to address competing demands on water resources across the water, energy and food sectors. 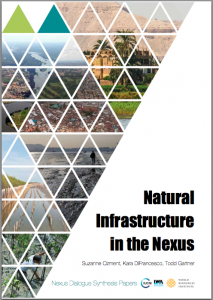 Presenting the most recent developments, studies, and approaches regarding natural infrastructure, the Infrastructure in the Nexus: Dialogue Synthesis examines reasons and ways to include natural infrastructure in this nexus, challenges that have prevented increased investment in natural infrastructure, and recommendations for moving forward.  T he conceptual separation and consequent management of food, water and energy resources is what has happened in the world of experts and government bureaucracies. Given the historical lack of success of previous efforts at ‘integrated management’ there is a need to ask how the water, energy, food policy terrain can be expanded to allow for a wider range of institutional voices at different hierarchies to be included. 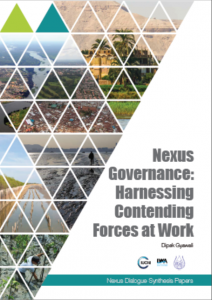 Using case studies from Nepal, India and Thailand, this paper explores challenges and governance options that can accept social and physical uncertainties and build synergy across the water, energy, and food sectors. Examples from Nepal, focusing on its only large storage reservoir, the Kulekhani, and its biggest inter-basin water transfer project, the Melamchi, are used to illustrate what unintended consequences a silo approach, either by design or default, can have.  In normal mundane times, opening silo-based approaches can be encouraged by a process of constructive engagement between plural voices of different styles of organizing – hierarchism, individualism and egalitarianism – and at levels from the village commons to the national and regional levels. Water Nexus from IWA on Vimeo.